Steven Cole (Economics, MBA - University of West Florida, Business & Innovation - Stanford University) 22 years experience in the safety business. Expert in reflective visibility solutions. 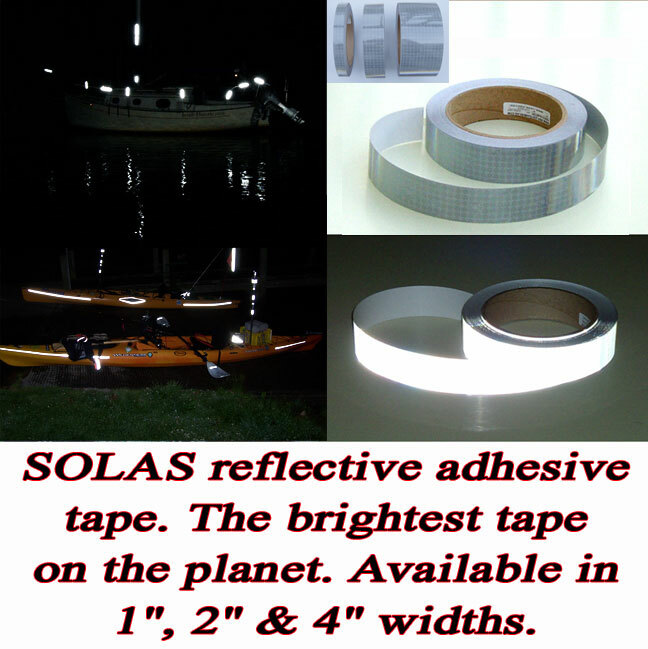 Our Flexible High Intensity reflective tape is a great alternative to our regular SOLAS. It also has some distinct advantages over regular SOLAS. First, it is flexible and will stretch to conform to almost any surface. It is the only tape that will conform to this extent. This conformability makes it perfect for marking odd shaped surfaces. Second, it is less expensive than SOLAS. Third, it comes in three colors, white, yellow and orange. We carry 1″, 2″, 4″, and 6″ rolls of this material. Reflexite’s V82 series tapes are some of the brightest in the world. They are very similar to SOLAS in intensity. 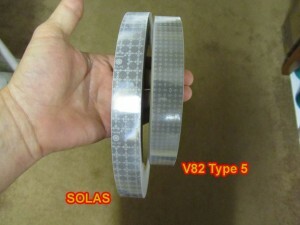 The main difference is that the SOLAS tape has the ships wheel logo and is certified for SOLAS applications. Also, SOLAS is more expensive. V82 Silver/White is a certified Type 5 film and has a reflectivity rating of over 700 Candelas. This is bright enough to be seen for thousands of feet away versus hundreds for standard engineer grade tapes. This makes this product ideal for applications that require visibility at great distances. 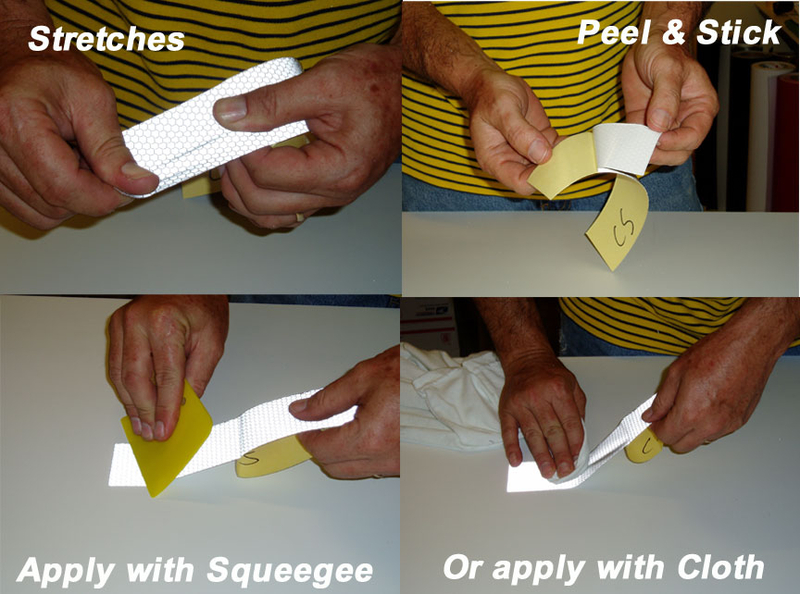 This material is very popular with motorcyclists and boaters. It has a 10 year outdoor rating. 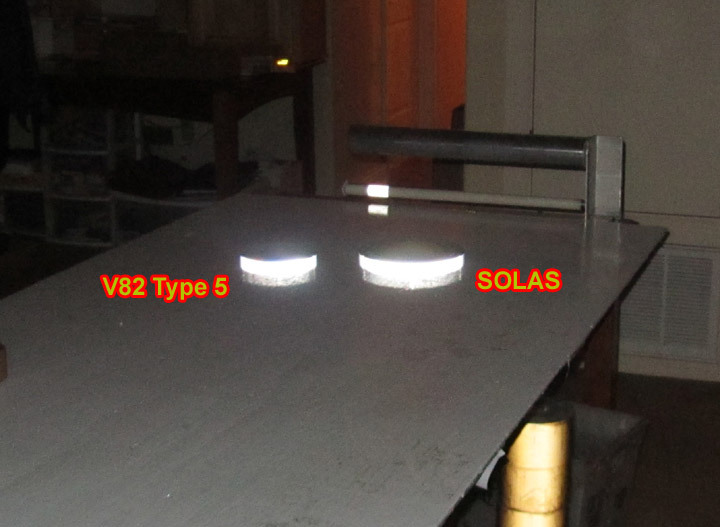 We call this a SOLAS alternative because it is close in brightness and appearance but at a much lower cost per roll. 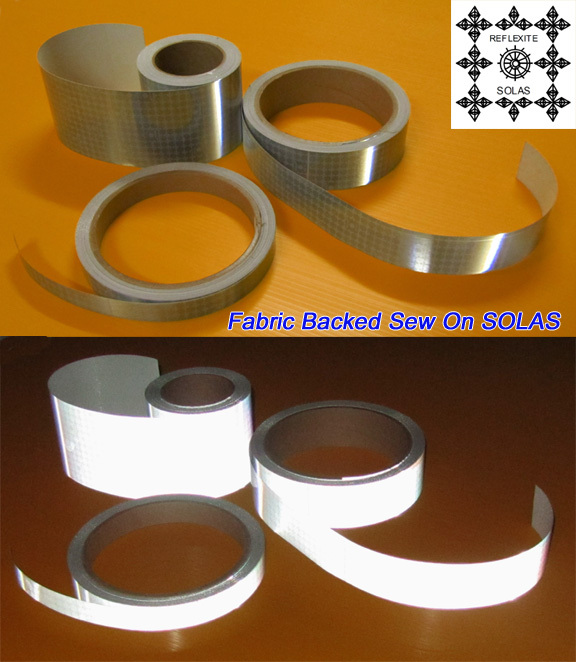 On this page we carry – 1″, 2″ and 4″ (30′ or 150′ ) rolls of Fabric Backed Oralite “Sew On “SOLAS Tape is the brightest sew on reflective tape on the market. 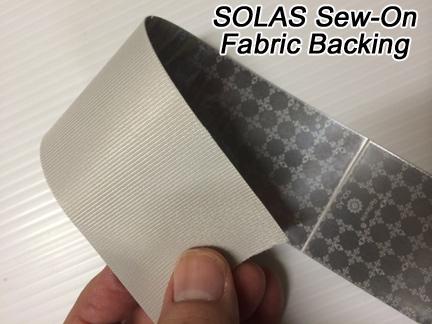 This tape is easily hand or machine sewn onto any garment. Once sewn on it is washable. (gentle cycle recommended) Our flexible SOLAS tape is specifically designed to increase the visibility of life jackets, survival suits, rain suits, back packs, jackets and a variety of other garments in marine and land environments. Reflexite Sew On SOLAS is also very popular for motorcyclists and bicyclist due to its extreme reflectivity. 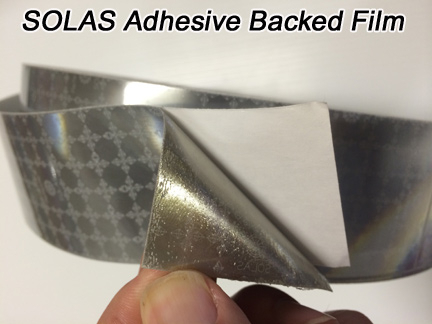 It is identical to our adhesive SOLAS but with a fabric backing instead of adhesive. This material is designed to withstand the harsh marine environment and extreme cold. FD1403 is IMO Type I and II certified and meets USCG requirements for SOLAS (Safety of Life at Sea). You can order using the links below.